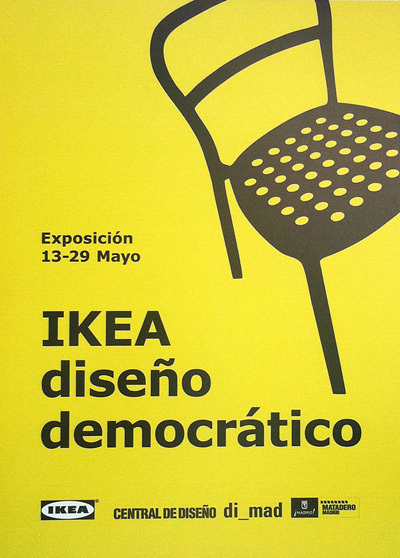 IKEA in collaboration with La Central de Diseño / DIMAD, has organized the exhibition “Democratic IKEA DESIGN”. The IKEA product exhibition, celebrates the 15 years in Spain, which aims to pay tribute to IKEA’s designs that have been provided to all people. I have been invited to the inauguration. During two days I will explain to more than sixty journalist specialized in interior design and decoration from the different magazines and blogs, as well as a big group of students, how is to develop products for IKEA.